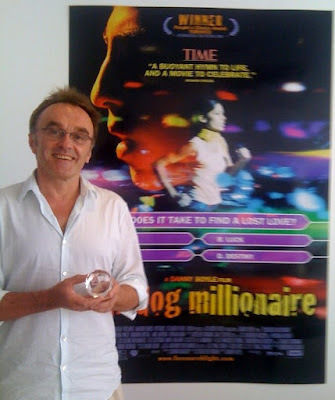 Danny Boyle poses with his Best Director award (for Slumdog Millionaire, of course) from the Houston Film Critics Society. And before you ask: Yes, I voted for him. And no: He didn't shake it while murmuring: "Rosebud."